'Villa Carola', the Isaac Guggenheim estate designed by Howard Van Buren Magonigle c. 1916 in Sands Point. 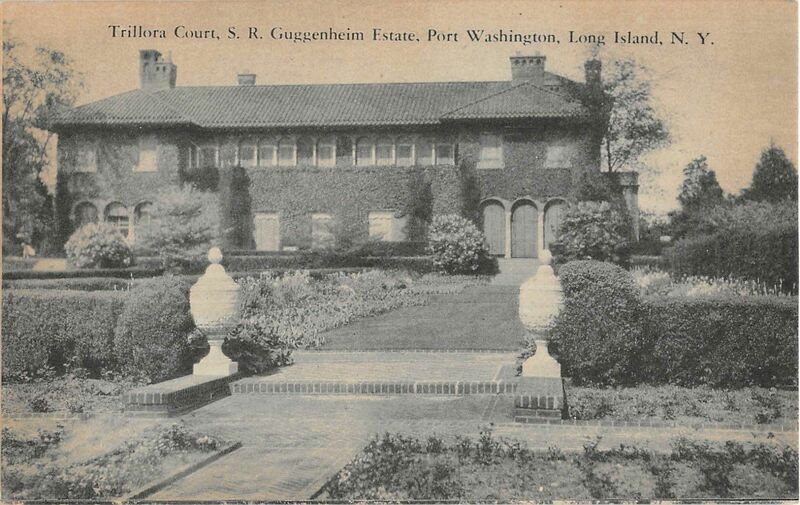 Click HERE for more on 'Villa Carola', now the Village Club of Sands Point. Dora is a bot -- don't click. I like this picture of 'Villa Carola' because the sun is shining on the side of the house & you can see most of the shades & shutters have been closed. Reminds me of the likely daily ritual the servants performed to protect the furnishings & keep the house as cool ... or not hot ... as possible. Today we have programmed air conditioning and insulated glazing. Yhe Schuyler Quackenbush House in East Hampton can be yours for $18.95 million. Thanks Ancient -- unfortunately the WSJ online no longer lets you read the full article, just the headline & first paragraph. For those of us who do not have a subscription, can someone supply the Realtor listing? Thanks. Doug - here's how to get around the WSJ problem. Copy and paste the headline of the article into Google followed by the letters WSJ and a full version should appear in the results. Click and enjoy. Thanks Zach -- I hope the next owner upgrades with appreciation as to what they have & not be too anxious to put their own stamp on the place. 1) I'm technologically still in the 1980s. 3) I knew all the time ... I just wanted you to help those poor, ignorant souls who didn't know.